Dr. Wendy Lu has celebrated her 24th year of her dental career. In her earlier years of practice associating with several established dentists in the Silicon Valley, she had a vision to create a unique dental practice where her patients would feel at home. Lifetime Dental Care was then open in February, 2000, with an emphasis on family-oriented dental care approach, catered to patients from 1 to 99 years of age. WE ARE PLEASED TO ANNOUNCE THE OPENING OF THE NEW OFFICE AT 10011 NORTH FOOTHILL BLVD., #113, CUPERTINO, CA 95014! PLEASE VISIT US AND SEE MORE WE HAVE TO OFFER! Dr. Lu graduated from University of California, San Francisco, in 1994. Dr. Lu has acquired hundreds of hours of Continuing Education at numerous advanced learning facilities, including the prestigious world-class Las Vegas Institute of Advanced Dental Studies. She has employed the equipment and concepts of Neuromuscular Dentistry since 2003 and has helped hundreds of patients with extensive dental needs including Temporomandibular Disorders. While advancing towards cosmetic and reconstructive dentistry, Dr. Lu continues to deliver routine and much needed basic dentistry to her patients of all ages and different needs. Dr. Lu participates in several volunteering activities, giving dentistry to the disadvantaged and less fortunate groups who cannot otherwise afford the highest quality dentistry. One of her volunteerism is Dentists with a Heart, a free dentistry program coordinated by Santa Clara County Dental Society, for children from low-income families during the week of Valentine's Day. She also had donated dentistry to Donated Dental Services (DDS) whose clients included those from the Delaney Foundation in San Francisco. Mother of two daughters, ages 28 and 19, Dr. Lu communicates and works effectively with children and adolescents, changing even the most apprehensive children into the most delighted patients who look forward to their next visits. Her most popular hits are balloon animals given as prizes after dental treatment. 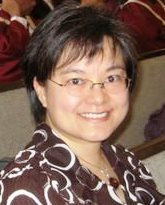 As an amateur pianist, Dr. Lu accompanies the choir at Home of Christ as well as numerous vocalists and chamber musicians in the Bay Area. She looks into recording and recitals after retirement from dentistry in the future. Her musical background also contributed to the calm and inviting atmosphere in her office. Many of her patients have enjoyed her performance at several recitals.